Window Cleaning and Janitorial Companies are common; however, finding a reliable and respected cleaning company is a bit more difficult. At Diamond Janitorial Company you get a competent and professional team that takes the work seriously.We take pride in our services and are committed to ensuring you get all that you ask and more. We tailor Janitorial and Window Cleaning Services to perfectly suit your needs. We have the equipment and the experience to make sure it is well maintained and spotlessly cleaned. ACE Services is a quality company that has been serving Wisconsin since 1919. ACE Services has low prices for quality services with the latest equipment. We own lifts, suspend scaffolding and a lot more. No job is too small for ACE Services! Our crew treats your home or place of business as if it were theirs. ACE Services workers take pride in doing a quality job. ACE Services is fully insured. 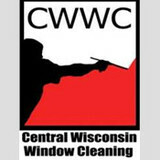 There is no window CWWC can’t wash. And CWWC does it safely, too! We have the most up to date equipment available. We have the first atrium lift of its type made in Wisconsin. More importantly, CWWC has the knowledge and experience to use this equipment safely. Among all of us, we have over 100 years of experience. CWWC has worked on Wisconsin’s tallest building as well as every other type of building you can imagine. We are fully insured and estimates are free. It is our mission to treat every customer, employee, and business partner as we would like to be treated. Using this guiding principle with every decision we make to create a winning situation for all involved with our company. We are a fully insured. Our employees are professionally trained to provide the service excellence you deserve. Our customers are often impressed by our professionalism and as a result much of our business has been built on referrals. We will treat your home as if it were our own and promise that when we leave it will be cleaner than before we arrived. Your satisfaction is guaranteed! 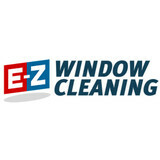 E-Z Window Cleaning is the most trusted name in the window cleaning industry. We have a professional reputation and years of experience. 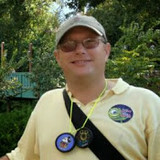 In addition, we use the latest equipment and have a well-trained, professional staff. All of these things ensure that you and your property are protected. Over 80% of our business comes from referrals. I give "Attention to Detail" to every aspect of my work. That translates to reliable, prompt and quality service.